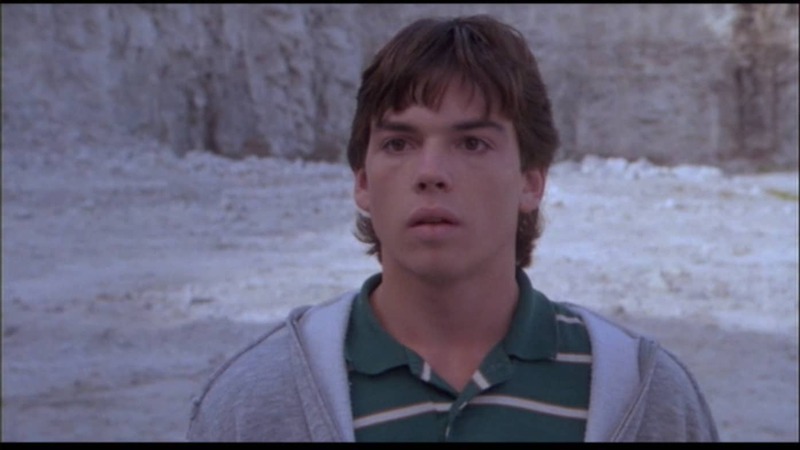 1 Who is Jason Gedrick? 2 What is Jason Gedrick Doing Now? 8 Do You Know About Jason’s Personal Life, Affairs, Plastic Surgery, Marriage, ex-wife Dana Lavas, Children? Born Jason Michael Gedroic on the 7th February 1965 in Chicago, Illinois USA, as Jason Gedrick he is an actor, perhaps still best known to the world as Doug Masters in the action film “Iron Eagle” (1986), and as Neil Avedon in the TV crime-drama series “Murder One” (1995-1996), among many other roles he has secured so far in his career. What is Jason Gedrick Doing Now? In recent years, Jason has focused on television roles, but has made an exception by securing lead roles in the films “Bella’s Story”, and “Act of Desperation” – although in post-production, both films are yet to receive a release date. Hopefully it will be soon, since Jason hasn’t appeared on film since the role of Doug Demas in the sports drama “Skating to New York”, which was released in 2013. Of Polish ancestry, Jason is the third and youngest child of his parents, with Joel and Dawne as his older siblings. Unfortunately, the names of his parents have been omitted from his bio, but it is known that they divorced when Jason was only eight years old, and he moved in with his mother, while his older siblings went to live with their father. He went to Gordon Technical High School, from which he matriculated in 1982, upon which he enrolled at Drake University in Des Moines, Iowa, but after only a year decided that college wasn’t for him, and moved to Hollywood to pursue an acting career. His parents were the instruments in his education, as he enrolled in business studies instead of acting, which he adored. Nevertheless, he eventually fulfilled his dreams, and became a professional actor. Almost immediately after moving to Hollywood, Jason secured his first role, though only an extra in the film “Bad Boys”, a thriller directed by Rick Rosenthal and starring Sean Penn, Reni Santoni and Jim Moody. However, it didn’t take long for Jason to start landing larger and popular roles, such as Lenny Barnes in the romantic comedy film “The Heavenly Kid” in 1985, co-starring Lewis Smith and Jane Kaczmarek. Jason’s next role was as Dough Masters in the war action film “Iron Eagle” in 1986, co-starring Louis Gossett Jr. and David Suchet – his performance received praise, and made him extremely popular. He continued quite successfully until the end of the decade, featuring in such successful projects as the drama film “Promised Land” in 1987, with Jason in the lead role next to Kiefer Sutherland and Meg Ryan, and he also appeared in the war-drama film “Born on the Fourth of July”, a biopic about Ron Kovic, the Vietnam War veteran, starring Tom Cruise, Raymond J. Barry and Caroline Kava. The film won two Academy Awards and multiple other prestigious awards to make it even more successful. Jason continued his career quite successfully too, reaching prominence in the mid- ‘90s with roles in several television series. He was Bailey Connors in “Sweet Justice” from 1994 to 1995 and then from 1995 to 1996 he portrayed Neil Avedon in the TV series “Murder One”, which is one of his most prominent roles. With the start of the new millennium, Jason continued with recurring roles in TV series, including “Falcone” (2000), “The Beast” (2001), and “Boomtown” (2002-2003). Nothing changed for Jason as his primary focus were television series, but over the years he became one of many actors who lost themselves in so many roles, failing to secure a long-time engagement. He emerged in 2015 with the role of serial killer Raynard Waits in the TV series “Bosch”, and the same year was Liam Cullen in the TV fantasy drama series “Beauty & The Beast”, while from 2016 to 2017 he portrayed Mark Hickman in the TV series “Major Crimes”. Most recently, he was cast as Sheriff Stone Geary in the TV mystery-drama series “Trouble Creek” (2017), for which he earned an IOWF Award nomination in the category of Best Actor. Since launching his career, Jason has appeared in over 80 film and TV titles, some of which made him extremely popular, with the most successful including the film “Iron Eagle”, and a string of TV series in the ‘90s and more recently. So, have you ever wondered how rich Jason Gedrick is, as of mid- 2018? According to authoritative sources, it has been estimated that Gedrick’s net worth is as high as $1.5 million. Quite decent don’t you think? Do You Know About Jason’s Personal Life, Affairs, Plastic Surgery, Marriage, ex-wife Dana Lavas, Children? When it comes to Jason’s personal life, he has been quite open about ups and downs that happen to him behind the camera; he was married to Dana Lavas from 1989 to 1997, during which time the two welcomed three sons, Jian, Garrett, and Ty. Since then, Jason has remained single, focused on his career and sons. Rumor has it that Jason at some point of his life underwent plastic surgery which didn’t go as planned, but that has remained just a rumor to which he has never responded. Jason isn’t much of a fan of social media platforms, though he has an active Twitter account on which he has over 4,000 followers. He has used this social media platform to promote his career and most recently has announced that “Age of Desperation” has entered post-production, while he has also shared views on his political aspirations, among many other posts. So, if you aren’t already a fan of this popular actor, then this is a perfect opportunity for you to become one, just skip over to his official page. He isn’t active on Facebook or Instagram, but perhaps he will opens accounts on these networks too.